A nature inspired business model would help entrepreneurs advance effectiveness of their business process, by reducing the friction/tension/conflict that otherwise every business will need to face if not take in consideration or realize the impact levels and influences nature rhythms, cycles, principles, laws have in their business ecosystem, their organization DNA, team and leadership. 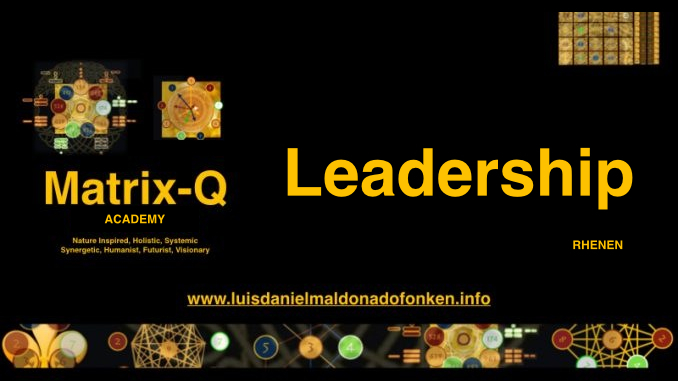 The researcher introduces the “Primordial Business Model System” as a Matrix-Q Tool (Matrix-Quotient of Intelligence, Matrix-Intelligent Tool) for Leadership, Strategic Management & Family-Life-Work Balance. Along the presentation, components of the Primordial Business Model System will be introduced and references to the research behind them given. 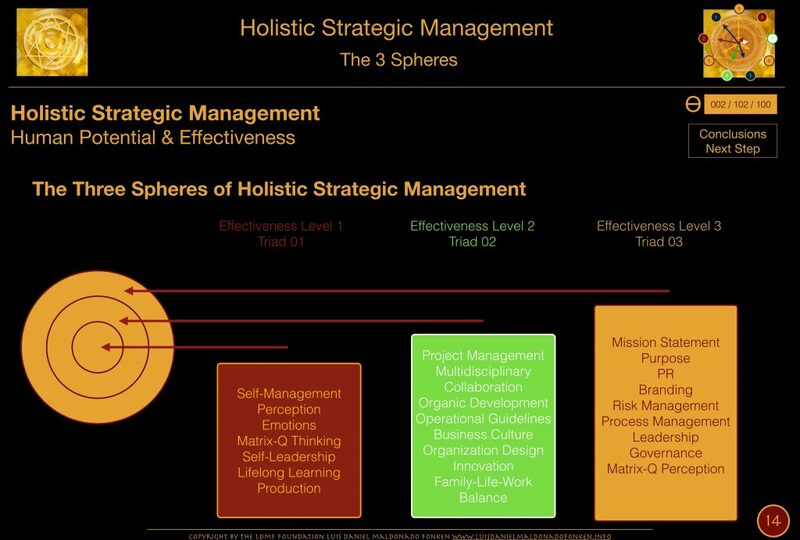 The Primordial Business Model System is utilized by the Holistic Strategic Management Ɵ Consultancy as a tool dedicated to support leaders. Focus on self-education, self-knowledge, as essential keys for a successful use of the Primordial Business Model System, a nature inspired business model. 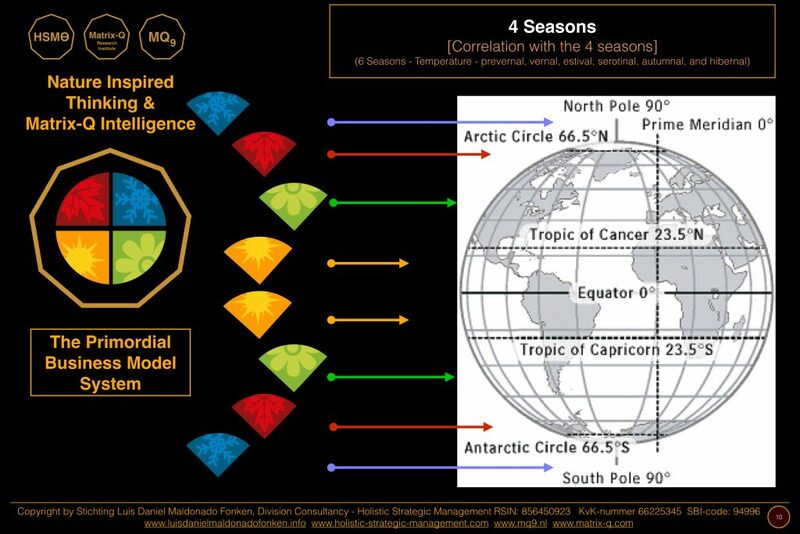 The word primordial has been utilized to describe this Matrix-Q Tool, as the nature model behind is natural, original, primordial, eventually older than the human species on earth planet. 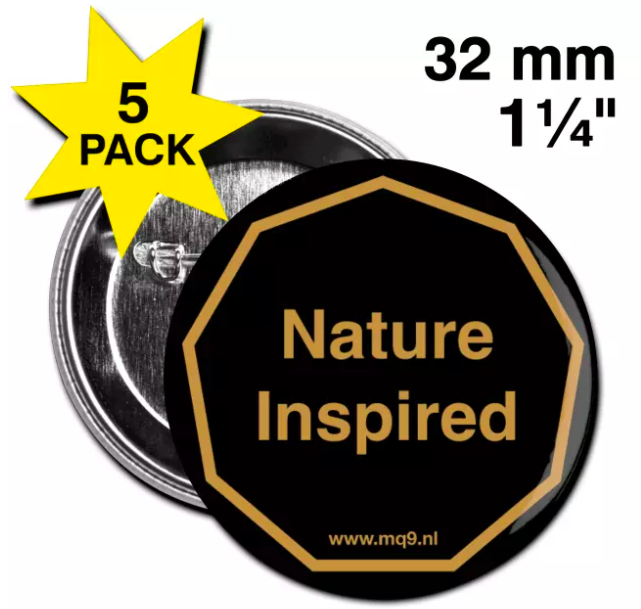 By utilizing the system nature applies for production, generation, of life and sustainability and stability the conditions that ensures the human species survival and evolution. 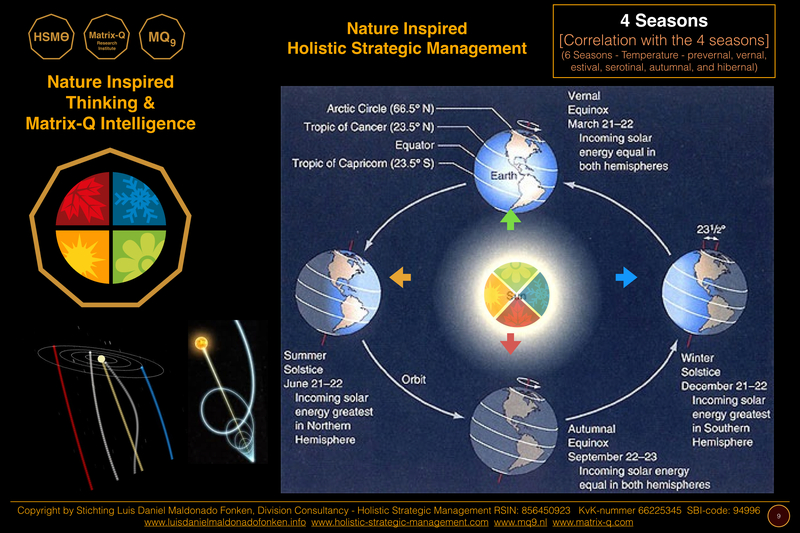 The use and application of the The Primordial Business Model for purpose of assessment, strategic and holistic management and leadership needs to be done with a good understanding of nature principles, human factor (human potential, stages of development) and by a good foundation (or continues development) of Matrix-Q Intelligence. Otherwise the intellectual and theoretical application of the model will not be useful or effective at all. Announces a training program to be provided for leaders, entrepreneurs, SDG Entrepreneurs, MBAs, and CXOs. 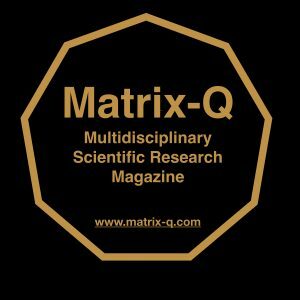 The HSMƟ Holistic Strategic Management Ɵ Consultancy services of the Matrix-Q Research Institute are introduced. 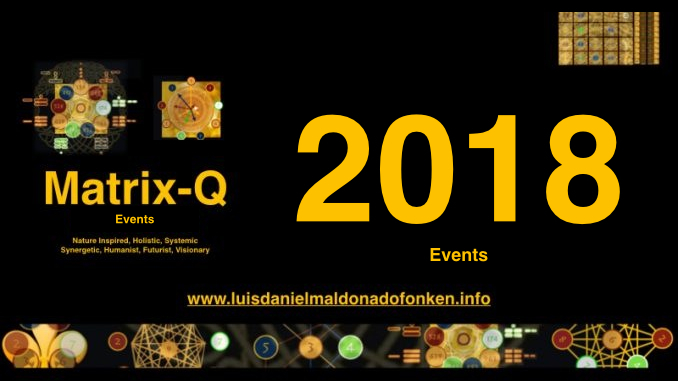 By Luis Daniel Maldonado Fonken, Researcher, Strategic Management Consultant, Coach, Trainer. 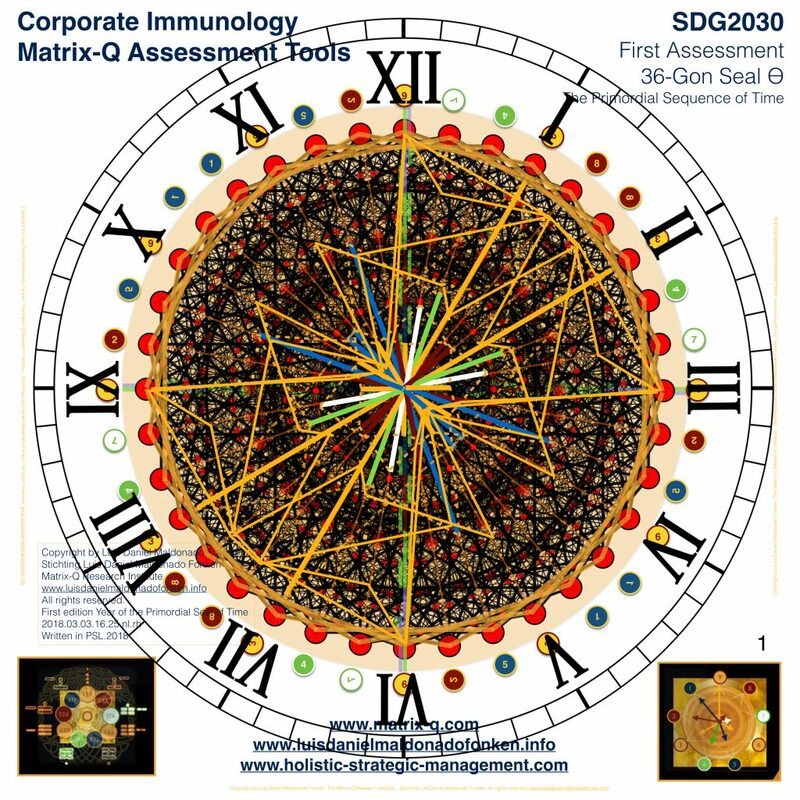 Developer of the Matrix-Q Assessment Tools and Holistic & Quantum Strategic Management Methods, Corporate Immunology Studies and Applications, PTƟ Primordial Mathematics. Nature has provided us with the most refined set of example, models and systems, that inspired imagination, creativity, science, technology and social management. From the construction industry, materials and mechanics, to the space industry; from cognitive engineering to social education and marketing, from the understanding of the immune system to the principles operating behind internet, networks and organic growth. The human individual, cultures and societies, in ancient cultures as in modern, have been inspired by nature, their knowledge and technology. Along the development of mechanical science, and the understanding of the benefits achieved by the re-introduction of holistic sciences, human knowledge has increased tremendously. The knowledge achieved about nature and life in general, will be utilized, in all types of forms, modalities and for any kind of purpose. The difference in outcome, process and achievement is created by how much the user knows him/her/itself. Why self-knowledge is so important ? Starting by knowing our limits, weaknesses, strength, process, history, tendencies, patterns, point of view, would be possible for us to predict our capacity to notice opportunities, chances, into a particular event. For example, for a man that has an allergy to olive oil, if that case would exist, to become a professional cook would be a great challenge and his own natural condition would pre set the path of his career and expertise, eventually developing the art of high cuisine with all sort of oils but not with olive oil. There is always a possibility to enjoy or develop own self in any type of activity, key is to know our selves. Or for example, when a teacher spend 70% of the time between correcting exams, home work (30%) and documenting a lesson (design, reports 40%), and only 30% for delivering a class, then we wish, with such system of education process management, that the ability of empathy, perception, communication and register of individual and collective issues the students carry, would be highly advanced in such of a teacher. The chances a teacher overloaded with administration of the teaching process would become un-sensitive or not able to create the process by communication, collaboration and understanding of each student stage of development would be very high. But it the teacher knows own limits, may focus, at own training hours, and leisure time, to enhance the necessary skills for the work. 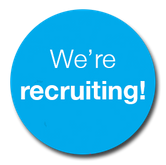 Each profession brings a set of specific challenges and needs of particular skills. In vocational trainings, most of the time, students realize that their romantic perception of what a profession is, vary respecting to the tangible and practical reality of it. For example, when i did decide to study I.T. i was ten years old, and i wanted to create video games. Years later along one of my first professional experiences, i had such of a fun programming software, but the experience of 11 hours 7 days/week programming, was not exactly what i had in mind. In the 80s, already many IT professionals decided to change their profession as, despite the good income, created a long term isolation and damage in their social (soft) skills and family. In all cases, to know ourselves, starts by knowing what do we want, and how we would like to achieve it.Once the skill for self-knowledge has been developed, for which a great deal of self-honesty is necessary, a new skill will be needed, the ability of self-education, learning to learn, how to learn, giving the set of limitations, conditions the individual has. 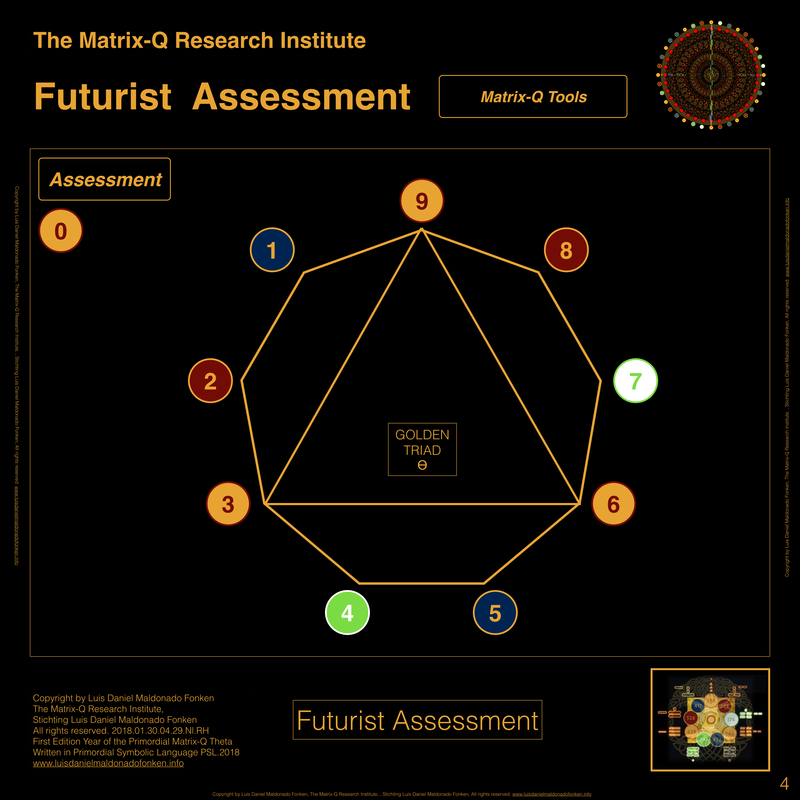 A Matrix-Q Assessment Tools (systemic) utilized for the perception, organization and management of human, natural and artificial phenomena, the 9-Gon which utilizes 9 cyphers (cypher = encoded language, symbol) to represent 9 classes of phenomena. 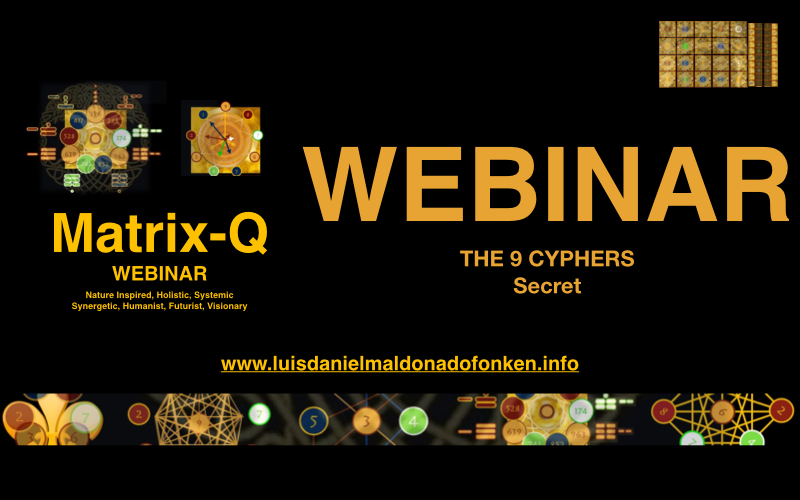 ( The Secret of the 9 Cyphers Webinar ) has helped the researcher to identify a set of correlations between the human body, proportions, immune system, cognitive skills, brain regions, emotional intelligence, stages of human development, frequencies, tones, and geometric structures ( REF: The Quick Sylver PT-Theta Primordial Mathematic Collection). The assessment tools of 36 cyphers (36-Gon), has been correlated to the pattern found in the Fibonacci Sequence of numbers, the PT-Theta Primordial Sequence of Time, and the researcher suggests the pattern unit is actually a unit of time. The 36-Gon also help us do an assessment on objective-subjective conscious-subconscious self, as well of individual and collective receptive-active skills, perception, capacity of tangible application of knowledge. The same 9-Gon structure utilized for assessment, including the 9 cyphers, will be utilized in this presentation/article to introduce “The Primordial Business Model System”. I started this presentation with the message: [“Know Thyself”]. When an entrepreneur intents to bring an idea into business, needs not only knowledge of the idea, and the market or business sector, but of own self and own business, business model. While a business can be perceived as anything that interest us, and keep us busy. A business model refers to the system utilized to help us be effective in anything we may have decided to do. 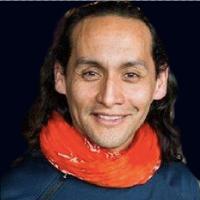 I also started the presentation with references of how nature, the study of laws, cycles, rhythms and principles of nature, in particular the study of the human being nature, has helped the human species to evolve into the global modern culture and technology we have at the current time. My first step will be to suggest you that the very first business human beings have been aware of, which involves production and growth, is that one that brought, by need, the proto-cultures, to study all about plants and farming. Identifying a cycle, which correlated with the 4 seasons of the year, would help farmers achieve their aims, production and distribution of food for their clusters, communities. The business cycle has been defined with many models, in the The Golden Tree of Life Method, we start from the visible tangible results, outcome of the business process. Have been those achieved ? 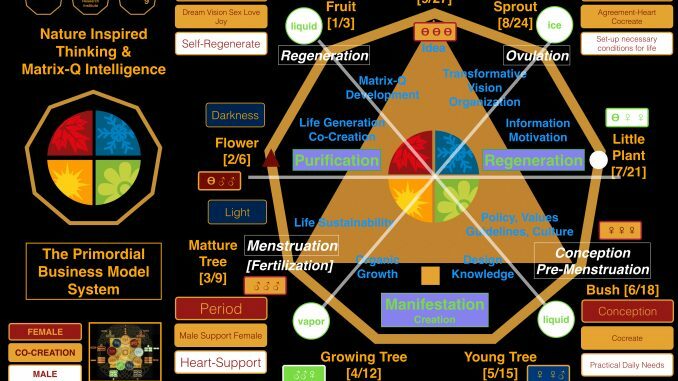 By following the cycle given by nature, seasons, plants life cycle, production and also fertility cycle in humans, a new business process / cycle have been suggested with following stages. [Implement or review] Transform the idea, vision into a plan that can be implemented. Organization, Resources, set all necessary for production. [Implement or review] Organize and structure information system. Inspiration. Motivation. Emotions. [Implement or review] Set Policy, values, decision making guidelines, business culture. [Implement or review] Proceed with production, marketing, communication, organic growth. [Implement or review] Implement all necessary strategies and stages, milestones, that will ensure the sustainability, health, nurturing and protection of the business process. [Implement or review] Apply principles of co-creation, communication, collaboration, that will enhance the effectiveness of the business process. 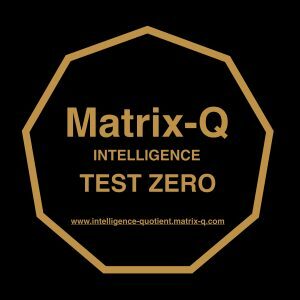 [Implement or review] Through Matrix-Q Intelligence do assessment of the variables, risks, influences, levels of impact, decisions that are related to the business, its organization, team, model and its ecosystem. According to results proceed with the necessary decisions. The business cycle or process described above can be correlated with that of the plant and that one of the human fertility cycle. 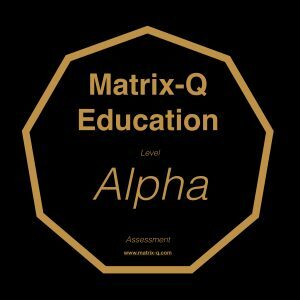 At the Matrix-Q Research Institute the influences of hormonal shifts and cycles through them created, have been studied, from the perspective of how those influence emotions, perception, communication collaboration and leadership skills. 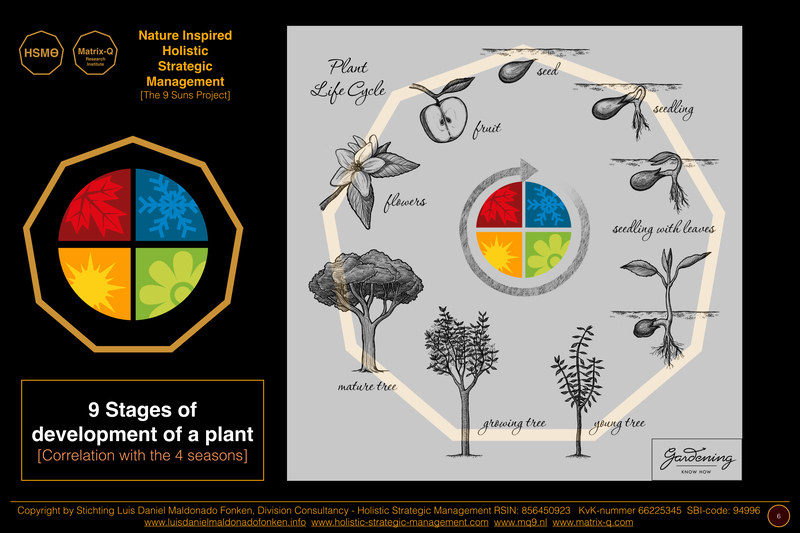 A natural and production cycle, that is more close to human nature, daily life, that this one of the plants or climate (seasons). Menstrual, Uterine, Cycle and references to hormonal shifts and their influence of emotions, perception, communication and leadership skills. Thanks to the knowledge of this cycle, a CERN scientist, developed a method to predict with high accuracy the fertile days of a woman and help couples in the process of family planning and leisure sexual activities. Natural Cycles suggests a natural method for which there is no need to take any substance in order to control pregnancy. For the purpose of family planning, collaboration and communication between love partners is necessary. As well as for the purpose of family-love relationship sustainability. As one of the most challenging issues both love partners need to face is that of the stability of their love relationship, understood from an holistic perspective: wealth generation, emotions, purpose, agreements, communication, shared leadership, gender inclusivity, values, family care and development strategy, family projects, leisure, children and family planning, parenting, legacy, a whole set of variables and processes that are strongly influenced, impacted by the shifts of hormones along the menstruation cycle. In the same manner, those influences impact family stability, will do on team collaboration and effectivity, as well as in leadership and strategic management. Perception and emotions play a key role for behavior, decision making, collaboration and choice of ideal strategy to be implemented, as result a level of effectiveness would be achieved. How individuals perceive challenges and make decisions? which path would they take, when choosing an strategy. 9+ stages of human development have been identified, from which the most direct traits of the primordial human archetypes are described as follow (REF: Human Potential Studies). By a careful assessment of team members and leaders, would be possible to identify SWOT Strength, Weakness, Opportunities and Threads that will be perceived by the entrepreneurs. Which is the level of complexity of the solution making, problem solving of a team or management style and how stable, sustainable, is it ? All depends on the human factor. Through the study of human stages of development, combined with Matrix-Q Intelligence, it is possible to predict the outcome and pattern of a strategy designed by a leader with strong tendencies or traits that belong to any of these archetypes listed above. In the case of the primordial business model system, the entrepreneur will need to observe and identify all the processes and variables taking place simultaneously and assess their level of impact or influence, in order to later design one single solution that can harness all of them. Matrix-Q The Primordial Art of Co-creation: The Menstrual Cycle, Hormonal Shifts Influences. 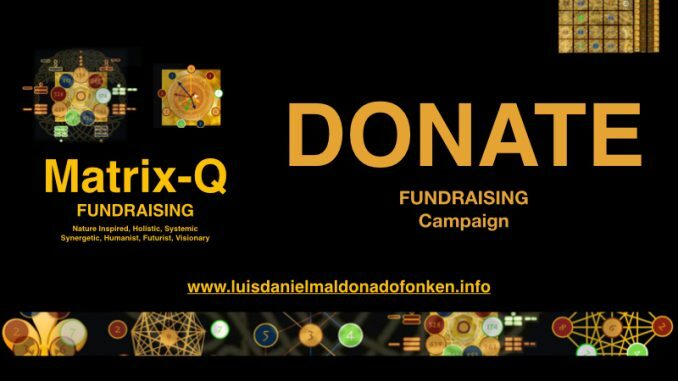 The researcher has build the following system that would help entrepreneurs know themselves, their own business DNA and through the perception and understanding of the matrix and system of their own business, learn to become more effective, by implementing the necessary strategies and applying the optimal leadership approach. The following chart holds all the information necessary for an entrepreneur to study own self and own business, organization and strategy. How to use this chart ? 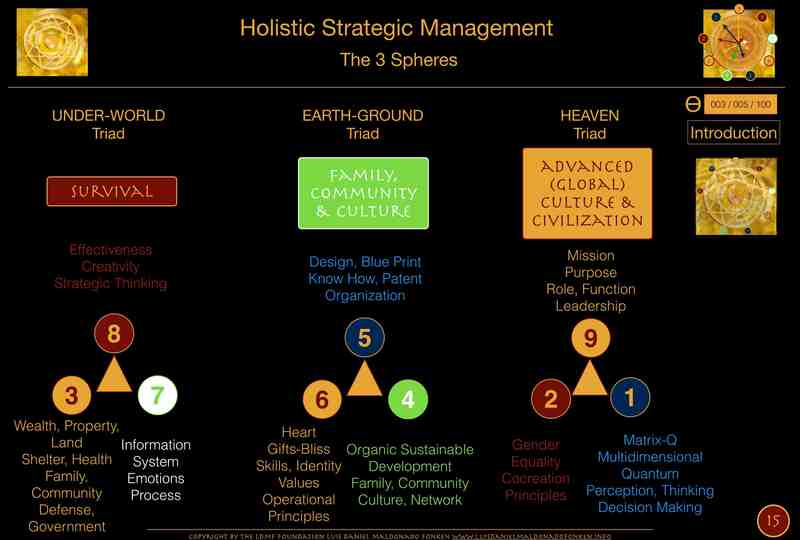 It must be utilized in combination with an excel chart, or a chart where the data related to each stage of development, cypher (9 spheres of holistic strategic management) and process will be registered. After registering the data generated the business model utilized by the entrepreneur becomes evident. Is the business plan following reasonable step by step development process ? Are the stages of development of the business and the business activity scheduled according to the natural cycles or they do generate tension, stress, in relation to them ? Does the leader consider the information of the chart above and the data generated (chart applied to business project) for risk management, decision making ? How many cycles have been planned, milestones defined, for the development of the business ? How does the business generate profit, or achieve its aims (not profit) ? How does the business generate wealth or resources necessary for its development ? Is the human factor of the business, human capital, aware and capable to utilize the information given by this chart ? and so many other questions leaders may be answer through the chart and the data generated with it in relation to their projects. 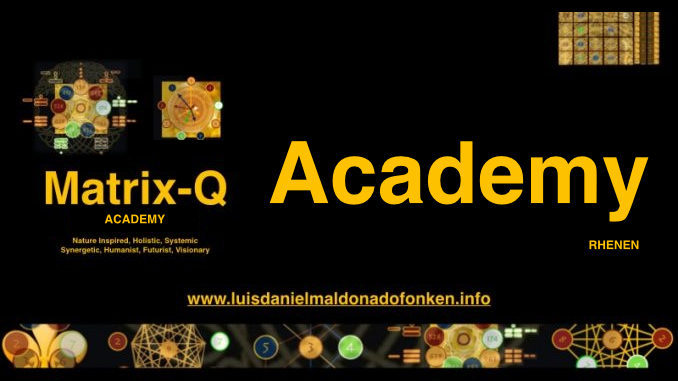 The Matrix-Q Academy provides training and user certificates, as well possibilities to explore in fields of application and research for which the “Primordial Business Model System” is being used. 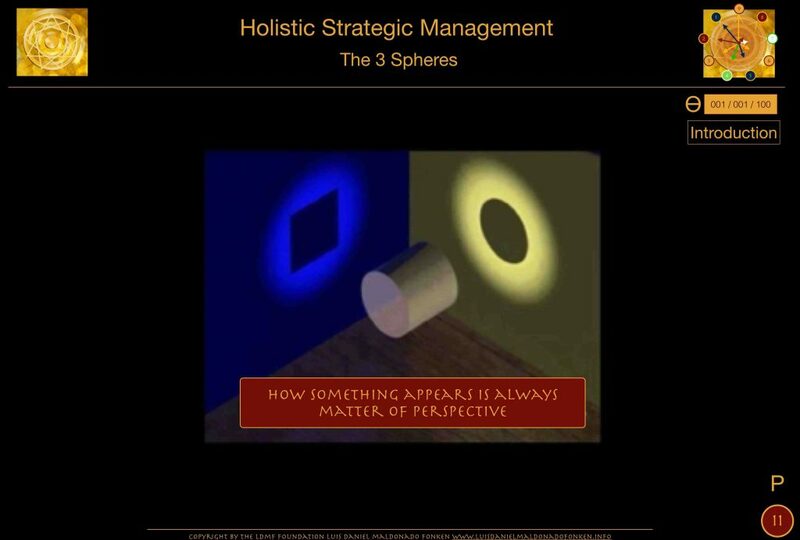 (Holistic Strategic Management Consultancy) as well licenses for trainers, coaches and consultants, or for leaders (CXOs) that would like to apply and implement responsible this knowledge. The training programs are experiential, focus on development of skills, case study and application (70%). Through a gamified learning process, learning by doing, learning by playing, fun and quick development of skills is ensured. Weekend Training at location : The Netherlands. Starts friday evening and ends monday morning. Full day Trainings: of 12 hours, intensive training program. Online Training: in modules of 3 hours, (skype, google hangouts) combined with self-education materials. Online Training e-Learning Program: without instructor, video lessons with e-learning materials. 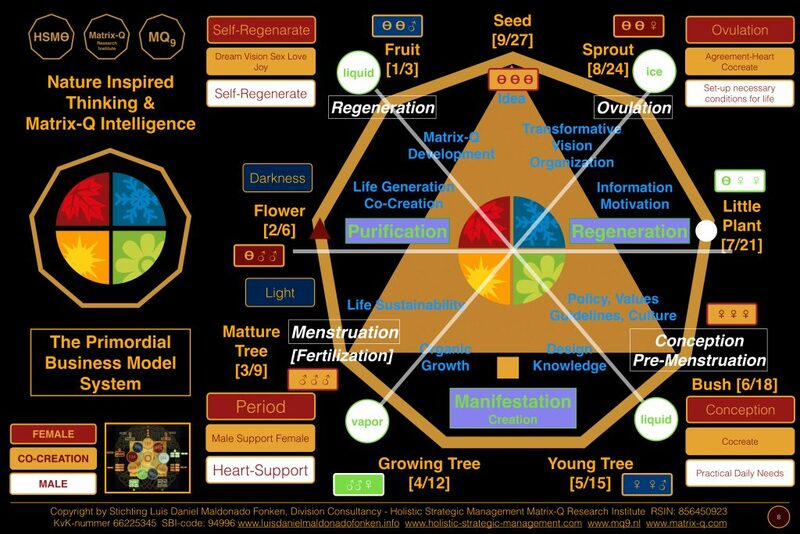 The reason is suggested through the “secret of the 9 cyphers” as the Matrix-Q Tools of assessment need to be utilized by users that have been informed and trained in their perception, and emotional ability to identify nature processes, patterns and work, collaborate with nature laws, principles, cycles and rhythms; as well able and capable of self-observation, self-knowledge, self-management and self-education. The mechanical or automated use of the tool will not serve its purpose, as the most essential challenge in the field of assessment stay in the capacity of the user to perceive, identify, measure, predict behavior of the variables, conditions, levels of impact and influence, that play a role for the business process and that have been described and included in its matrix system of management. 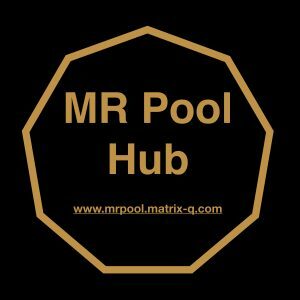 Matrix-Q Intelligence development is essential, as higher the capability of the user to perceive, understand, conciliate and bring together for own leadership and strategic management all processes ” The Primordial Business Model” brings together. Then a more simple direct and at the same time complex and indirect solutions the leader would be able to apply. 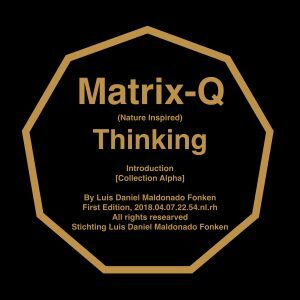 [The Matrix Quotient of Intelligence signs the ability of an individual to solve challenges by approaching them from several perspectives simultaneously]. 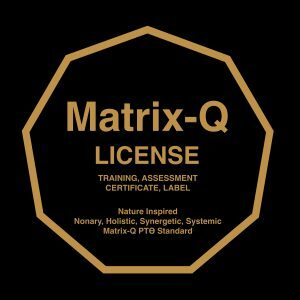 The Matrix-Q Research Institute through its consultancy services suggest then a complete series of training programs and courses, certification and licenses for the advanced and responsible application of PTƟ [Matrix-Q] “The Primordial Business Model” Tool.